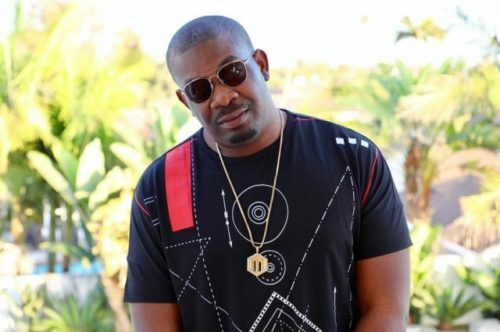 Don Jazzy has come out to deny the allegation that he is currently fathering a secret child who he has been keeping away from the public for a long time. The singer and music business mogul took to an interview he had with Sunday Scoop to deny the allegation. He said he absolutely does not have any child somewhere and that nobody has called him ever before to tell him she is carrying his baby. He said why would any one have a child for him and not want to let him know about it? He however urged anyone who has a child for him to come out and let him know as he is presently believes nothing as such exists. He said; “I didn’t hear anything about having a child outside wedlock. I don’t have a child yet or maybe somebody has a child for me somewhere and they don’t want me to know about it but I don’t know why they won’t want me to know about such a thing.